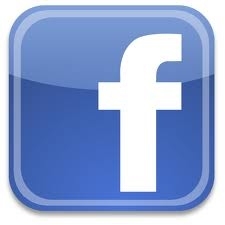 Check out our Facebook page at www.facebook.com/Pack.8005 for the most current Pack 5 news and last minute updates. "Like" our page to keep current on all of the Pack 5 activities during the year. Please join us on Saturday, November 17th from 1pm to 2:30pm at the Keeseville Elks Lodge (1 Elks Lane) for our Pack meeting. We will be recognizing all of the new Scouts that have earned their Bobcat Rank, enjoy some activities, and see some great skits and songs presented by the Scouts. Also, for those families who participated in our popcorn fundraiser, orders will be available for pickup from 12:30pm to 1pm at the Elks Lodge. 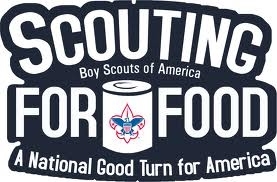 Finally, if you collected "Scouting for Food" bags, please bring them to the Pack meeting. Please join us on Sunday, May 20th for a Pack hike. We'll meet at Keeseville Elementary School at 1pm SHARP and carpool/caravan down to the trailhead in Essex. We should be back in Keeseville before 4:30pm. For more information and driving directions, please open the attached flier. See you Sunday! Pack 5's Winter Extravaganza is coming on Sunday, January 29th. Join us from 11pm to 3pm for a day of ice fishing, winter games, a warm meal, and lots of excitement on Auger Lake in Keeseville. A flyer with complete information, including directions to the event, is attached below. A map showing the event location is also included below. If you are unable to join us right at 11am, no problem! We'll be having fun all afternoon, so stop by when you can. Spend the evening of Friday, November 18th star-gazing and learning about the constellations in the sky, and finish the night with a Pizza Party where your family can custom-design your own pizza pie. Bring your warm layers... and your appetite. The cost of the event is $8 per person, or $20 for three people. A registration form is attached. This is not a Scouting-organized event and is open to all. Drivers: The parking lot has 2 driveways. As you drive in, drive through the parking lot (not towards the field). There's a free Haunted Walk on October 29th (the Saturday before Halloween), beginning at dark at the Beach/Sarazen Residence, 505 Devil's Den Road in Altona. One of our Pack families attended last year's event and had a great time, so feel free to check it out. A flyer is attached below. The Great Escape and Twin Rivers Council have teamed up to bring you the Pumpkin Chuckin' Challenge on October 22nd and 23rd. Scouts are invited to construct a "Pumpkin Chucker" (rules attached below) and compete for awards at The Great Escape. You do not need to compete in the contest to attend the event. Discounted tickets for Scouts and family members are only $18.99 plus tax. There is no charge for admission for children ages 2 and under. You must order your tickets by Monday, October 17th!!! A "mail in" order form is attached below, or you can order online by clicking here and entering promo code: PUMPKIN. Families are requested to submit their orders to The Great Escape on their own -- Cub Scout Pack 5 will not be processing a group order for this event. There is a combined Halloween Party on October 30th from 3pm to around 5pm at the Keeseville Fire Department, organized by the Girl Scouts, for local Cub Scouts and Girl Scouts. Planned events include a trick or treat parade to local businesses, along with games and prizes. There will also be a best costume award for Kids and Parents. A printable event flyer is attached below. Hope to see you at the party! The Keeseville Elks, our Chartered Organization, is holding a soccer shoot for all area youth under 13 years old beginning at 11am on Sunday, September 18th at the Elks Lodge. A flyer for the event is attached below. We encourage you to attend. Congratulations to all of the Scouting families of Cub Scout Pack 5! Our Pack was recently recognized by Twin Rivers Council as a Baden Powell Unit for our generous support of the Family Friends of Scouting campaign. We are one of only seven Packs, out of nearly 200 Packs in the Council, to achieve Baden Powell status! Friends of Scouting is the annual campaign where the Twin Rivers Council asks Scouting families, businesses and civic-minded citizens to support our mission of providing the Scouting program to thousands of young people in Capital Region and Upstate New York. In 2010, Scout families donated more that $129,000 to this important campaign. Every unit is asked to support Friends of Scouting, because every unit benefits from the monies raised. If you haven't yet contributed to the 2011 Family Friends of Scouting campaign, there is still time. Please contact your Cubmaster or Pack Committee Chair for details. Please click here to learn more about the Family Friends of Scouting program.